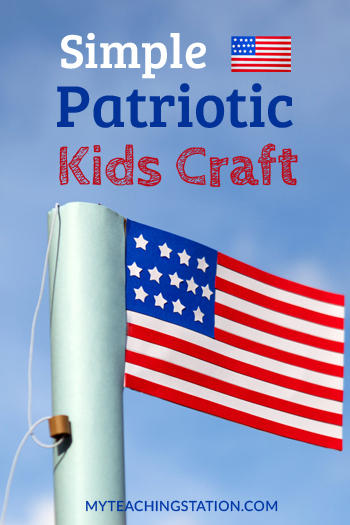 Make the United States flag using a paper towel roll and colored paper for a Memorial Day kids art craft. 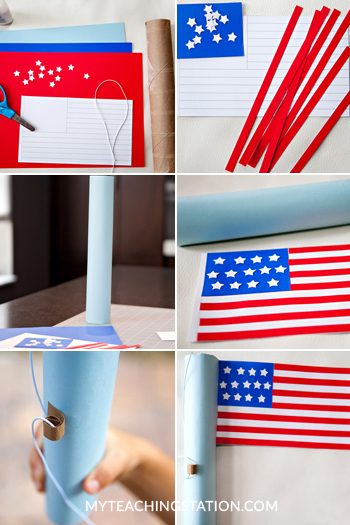 4 sheets of paper (light blue, navy blue, white and red). 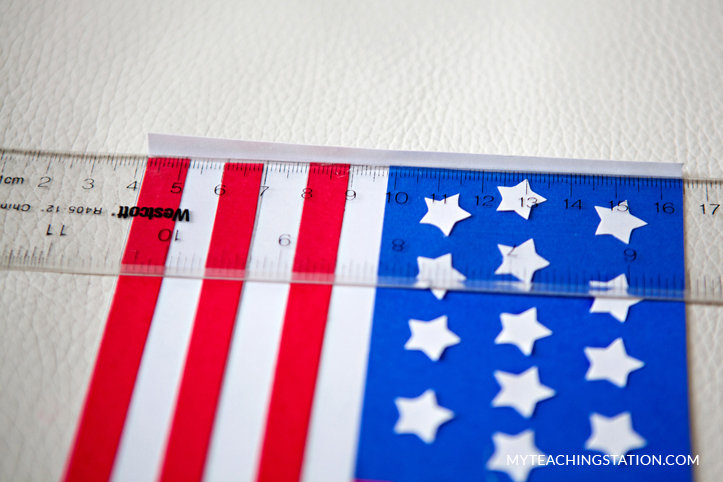 Elastic string (optional for flag pole). 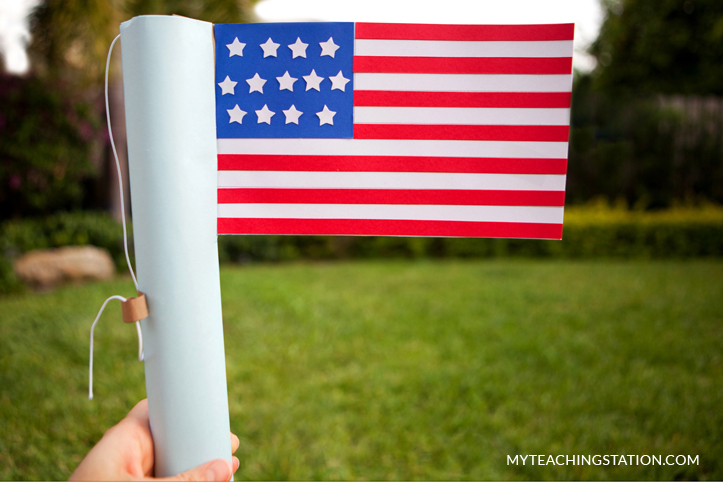 1 brown sheet of paper (optional for flag pole). 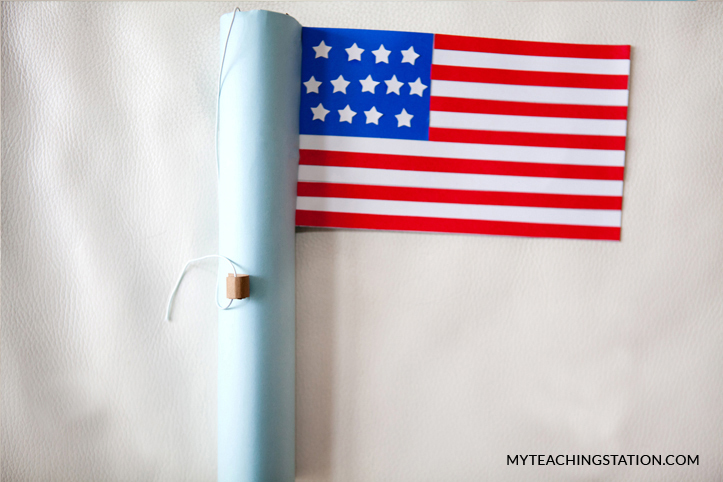 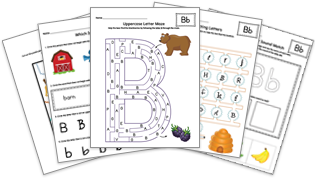 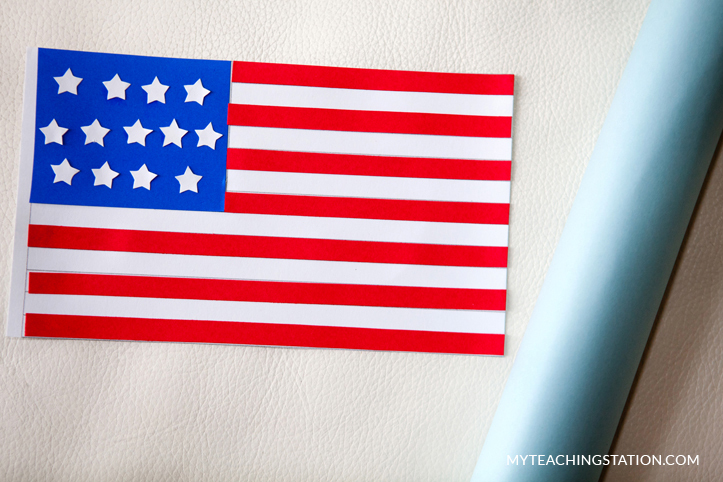 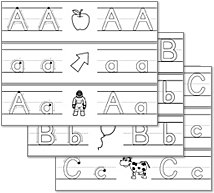 Print the U.S. flag template on the white sheet of paper and gather the rest of the materials needed. 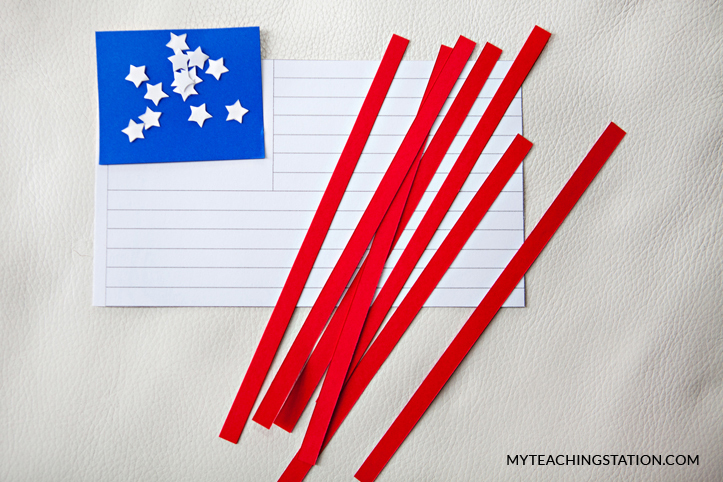 Cut out the stars and flags (one of the flags will be used for tracing the red and blue paper while the other will be used to attach the colored paper). 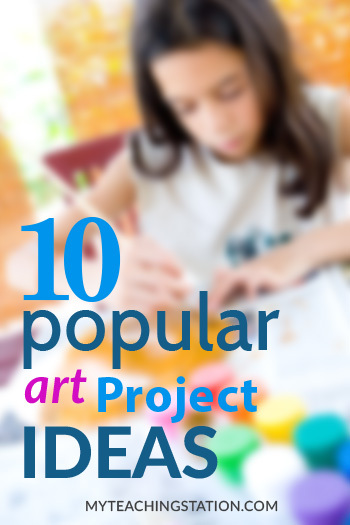 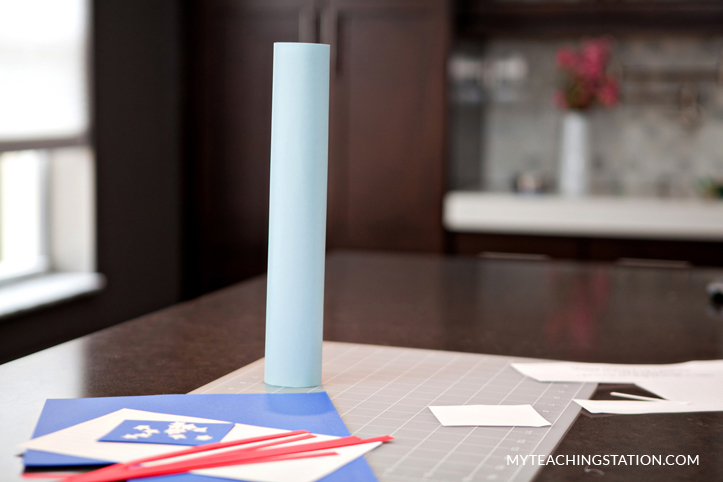 Wrap and glue the light blue paper onto the paper towel roll. 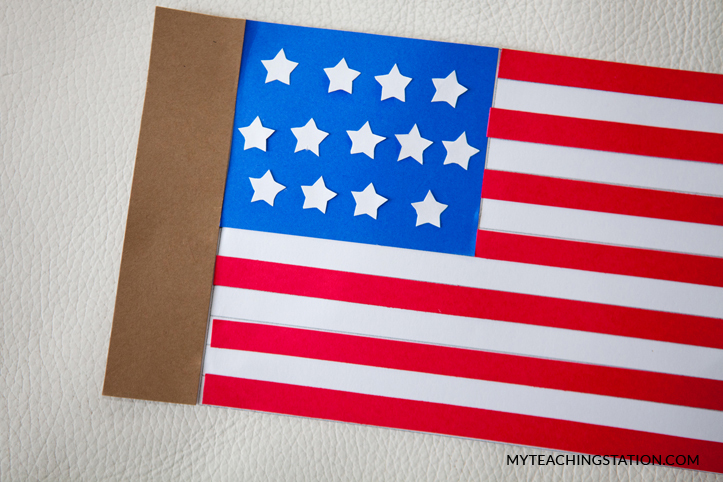 Glue the red strips, blue rectangle and stars onto the second flag. 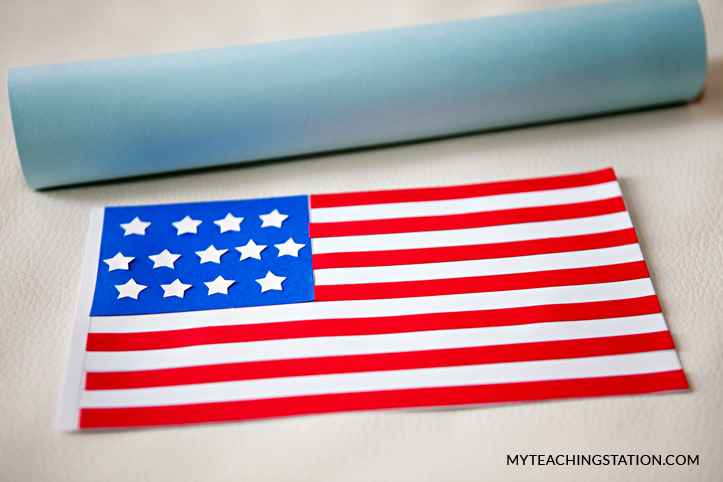 Cut the paper towel roll up to the length of the side of the flag. 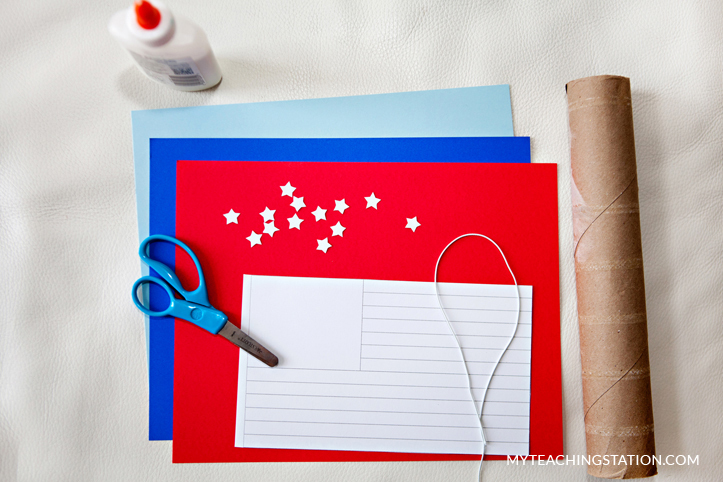 Fold the side of the flag to insert into the cut out area of the paper towel roll. 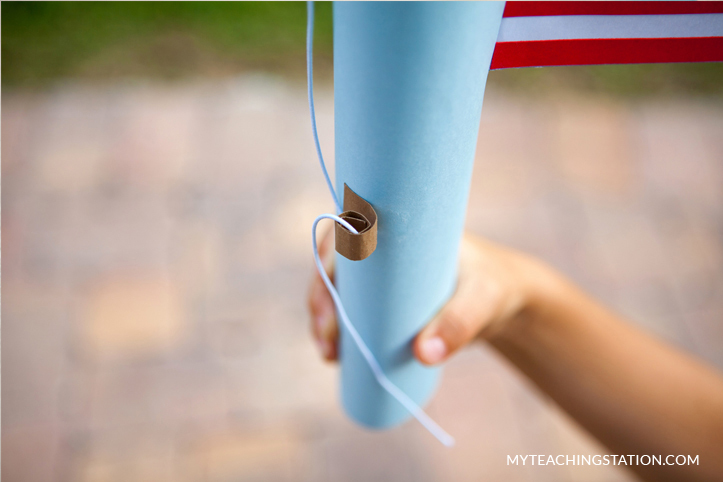 If the flag is not holding well onto the paper towel roll, you can attach extra paper on the side in order to secure the flag. 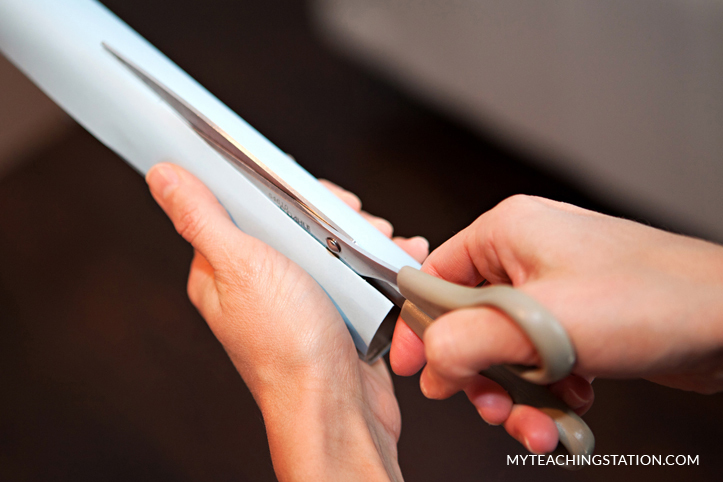 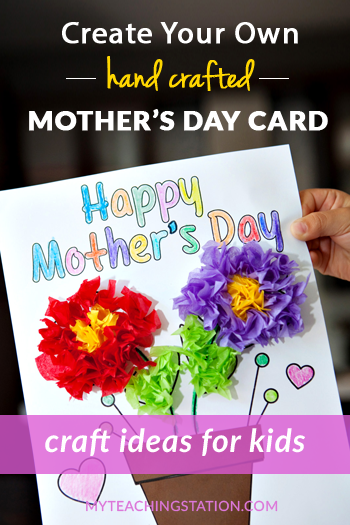 Cut out a small piece of paper, roll it and glue it on the side of the paper towel roll. 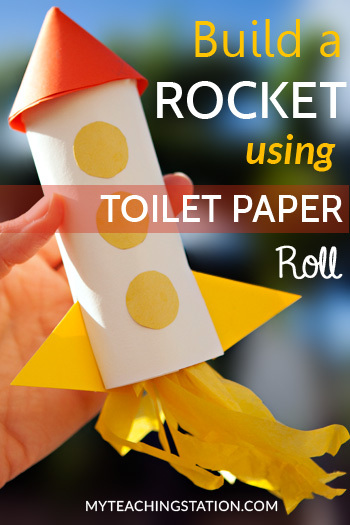 Attach the string in the top of the paper towel roll.